Wounded Times: Daytona Beach Commissioners Blowing Smoke on Medical Pot? Daytona Beach Commissioners Blowing Smoke on Medical Pot? “I think that’s ridiculous,” said 37-year-old Josh Whitney, an Iraq war veteran who was tormented with post traumatic stress disorder for 11 years until he started using cannabis oil every day. “I don’t want people walking out and lighting up,” said City Commissioner Dannette Henry, who worries about pot smokers hanging around businesses and places kids could be. The vast majority of Daytona Beach voters approved allowing more people to get medical marijuana. But a majority of city commissioners are leaning toward banning dispensaries in the city. 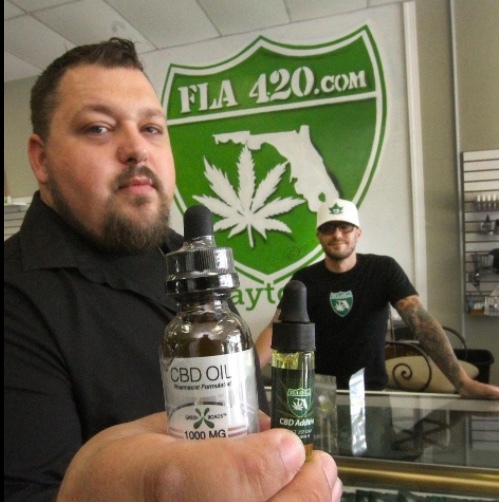 DAYTONA BEACH — Last fall, 71 percent of state voters supported making medical marijuana available to more Floridians battling excruciating illnesses like cancer and Parkinson’s disease. In Daytona Beach, the support was even stronger. Twelve of the city’s 15 precincts had 76-90 percent of their voters backing the proposal to make pot legally available for far more medical reasons. The other three precincts weighed in with yes votes from 69-74 percent of voters. Commissioners haven’t taken a final vote yet. But if at least one of the four commissioners opposed to dispensaries doesn’t have a change of heart by the time they do vote in the next month or two, people fighting everything from multiple sclerosis to epilepsy will have to road trip to other parts of Volusia County to get their medical marijuana.